As the summer slowly fades into autumn the air becomes a little crisper; the sun sets over the ocean a littler earlier and rises a little later. The days are warm and the skies are often clear and the birds whistle in the wallum. If you’re a nature lover there’s no better time to visit Fraser Island. 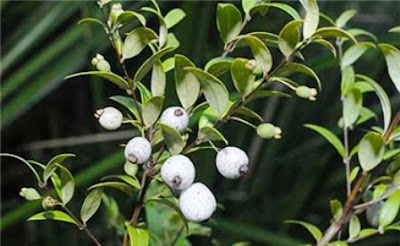 Right now our Midyim berries (Austromyrtus Dulcis) otherwise known as Midgen berries or Sand Berries are in full bloom. These tiny white berries are edible and contain an incredible 136 calories each! They have a sweet, tangy flavour and light texture and can be delicious little bush tucker treats so keep an eye out for them around the island. Most wallum wildflowers are at their most spectacular during late winter and spring, but some flowers bloom all year round such as our Wide Bay Boronias ( Boronia rivularis ). 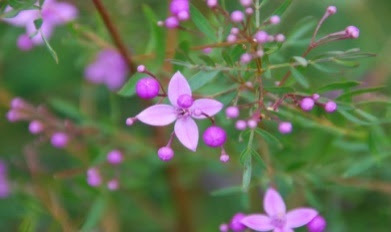 These native shrubs are a near threatened species of plant which grow along coastal areas of south-east Queensland in wet, sandy soils. Their beautiful pink diamond flowers give off a distinctive Aniseed scent that serves as both an attractant and a defence for the plant. Our chefs at Seabelle are also rejoicing at the new season produce they have on offer to incorporate into their menu such as our native ginger. While this plant does produce a flower and berries which have a distinctive taste, our chefs use the root of the plant to infuse their sensational dishes with a bush tucker flavour. While the Easter bunny may not be “native” to Fraser Island, we have discovered some new holes around Kingfisher Bay Resort that suggest bandicoots and echidnas have been busy digging through the night. It’s exciting to think these nocturnal friends are scampering around at night- hopefully some Junior Eco Rangers might be lucky enough to spy one on our school holiday night walks. You can spot the holes as you walk around the resort- most commonly at the base of vegetation. 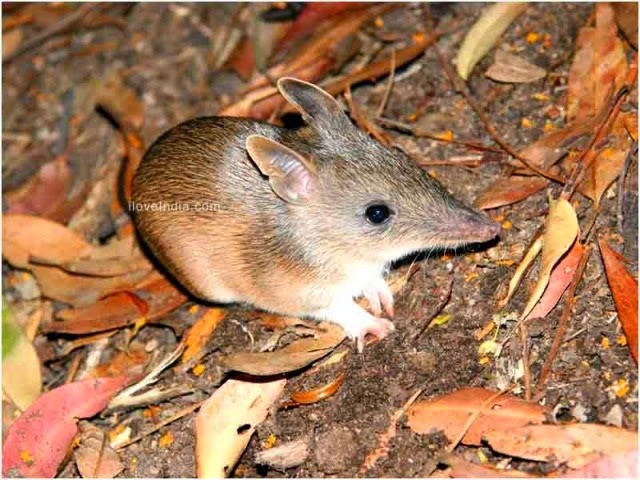 Bandicoots and echidnas use their noses to dig holes while they forage for food. If you’re around the resort after dark, keep your eyes peeled for our furry friends.